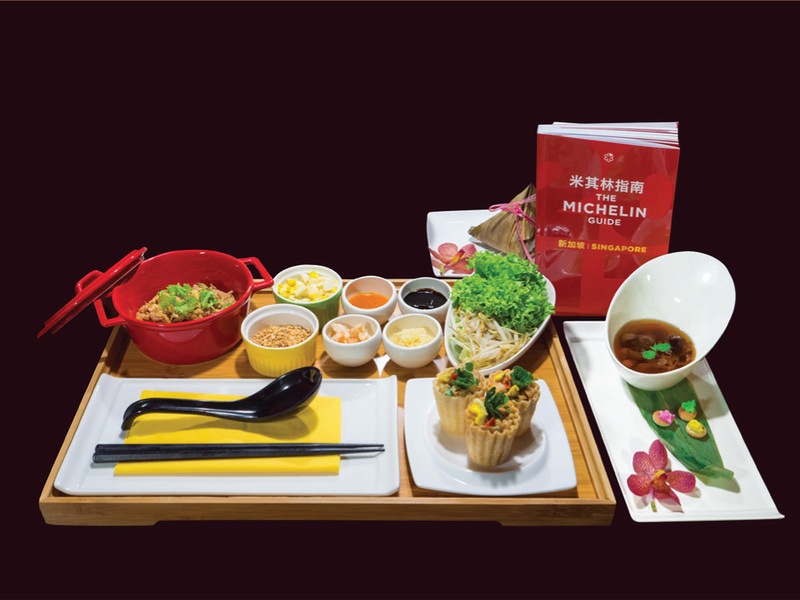 Enjoy the best of Michelin’s Bib Gourmand Award local fare in comfort and luxury. 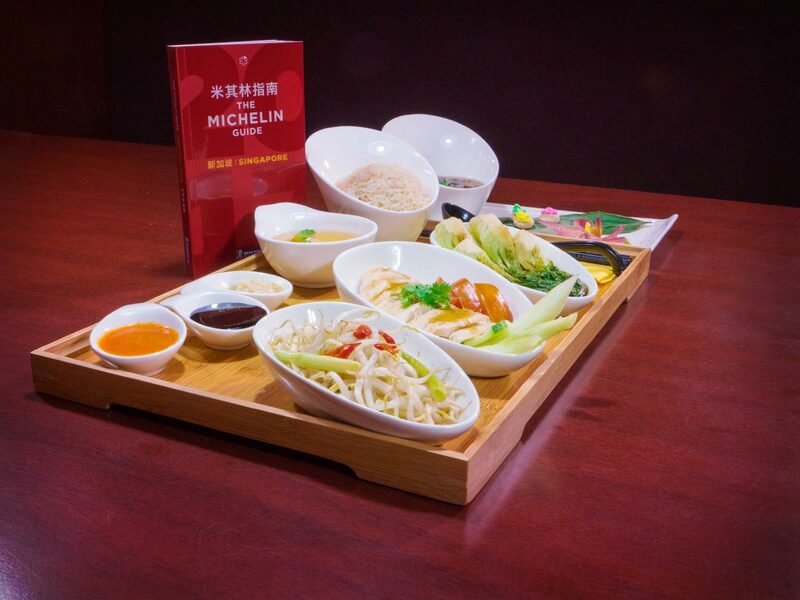 Picked by Michelin’s discerning food inspectors, Bib Gourmands represent a ‘carefully prepared but simpler style of cooking’ from local hawkers. 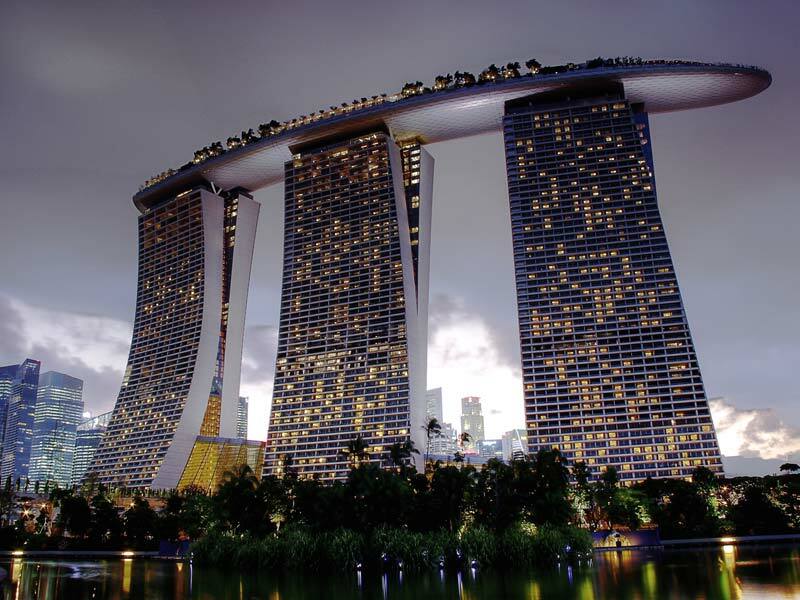 Mention the name ‘Tian Tian’ to anyone in Singapore and chances are they’ll know exactly what you’re referring to. 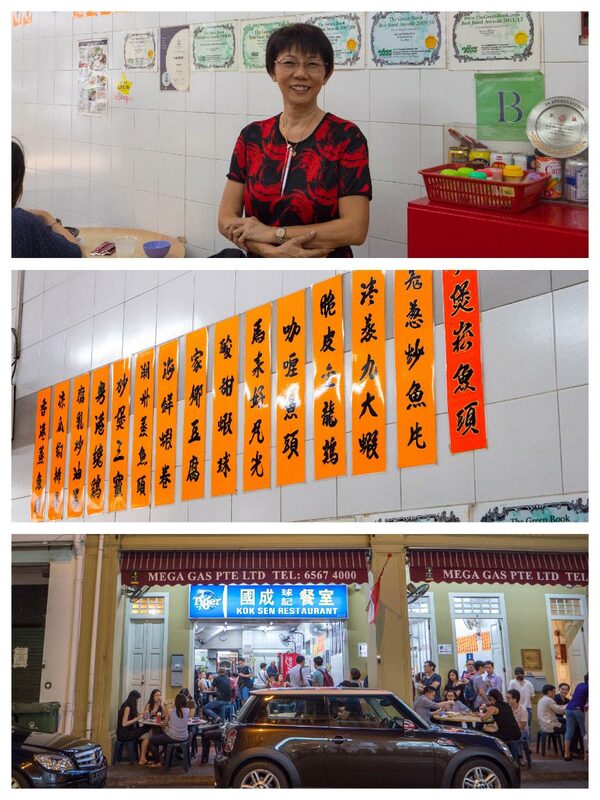 Opening its doors at Maxwell Food Centre in 1987, the stall has remained a family business since. Today’s Tian Tian draws snaking queues throughout the day. 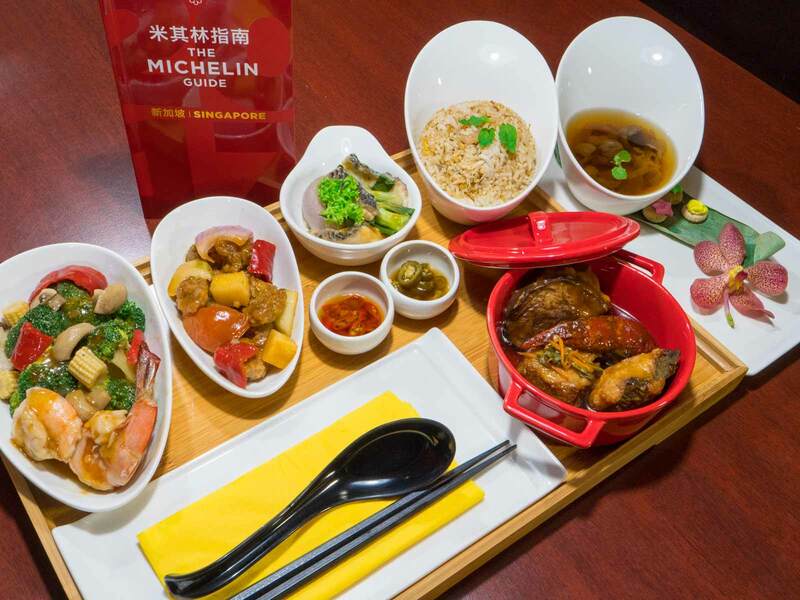 Tourists can be seen in the lines, patiently waiting for their turn to try this Michelin Bib Gourmand Award winner. 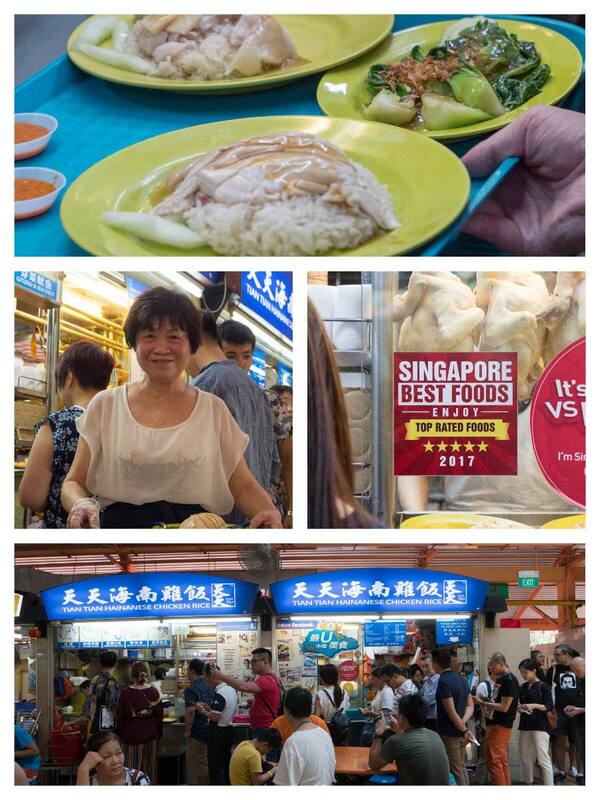 Hainanese chicken rice is a dish adapted from early Chinese immigrants and is considered as one of Singapore’s national dishes. The chicken is prepared in accordance with traditional Hainanese methods, which involve poaching the entire chicken at sub-boiling temperatures. The resulting stock is skimmed off and some of the oil and liquid, along with ginger, garlic, and pandan leaves are used in the cooking of the rice. The dish is always served with condiments of garlic chili, ginger sauce and dark soya sauce. 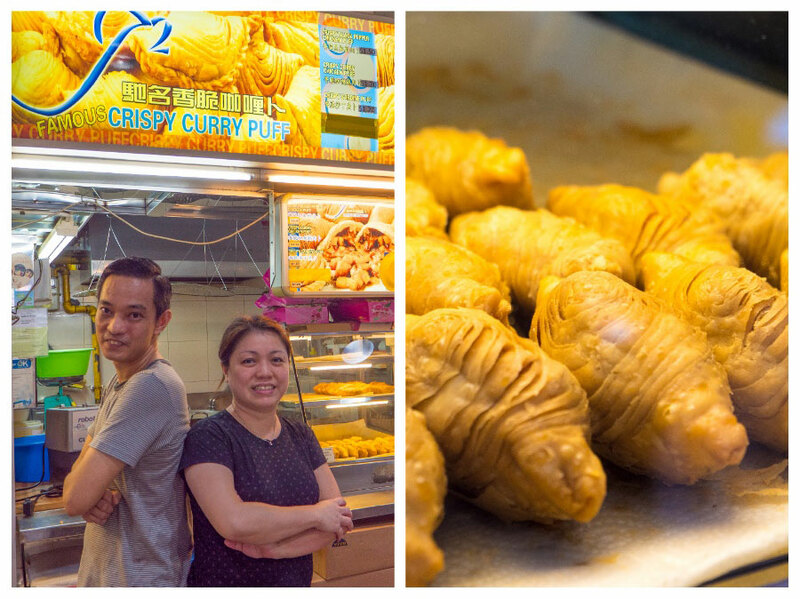 Opened after their initial bakery shuttered, Lee Meng Li and his wife Wu Jing Hua learnt the art of excellent curry puff making from a relative. Today their long queues and Michelin Bib Gourmand Award is a sure sign of their success. J2’s handmade quality is one of a kind. As such, the Lees only make 500 a day! Plump, fragrant grains of rice imbued with chicken stock, fresh ginger, garlic and aromatic pandan leaves. Prepared in Hainanese style, the juicy and tender chicken is a gastronomic experience served at room temperature. Crunchy, garden fresh Bak Choy is poached and served with oyster sauce. Crunchy and refreshing, these bean sprouts are served with seasoned cuttlefish in a homemade sauce. A clear hearty chicken soup acts as a palette cleanser for your meal, while the spicy garlic chilli, sharp ginger sauce, and sweet dark soya sauce adds new dimension to the dish. Flaky pastry hides a generous curried potato filling. A sweet and refreshing cold local dessert made from the dried longan fruit provides a sweet ending to your meal. 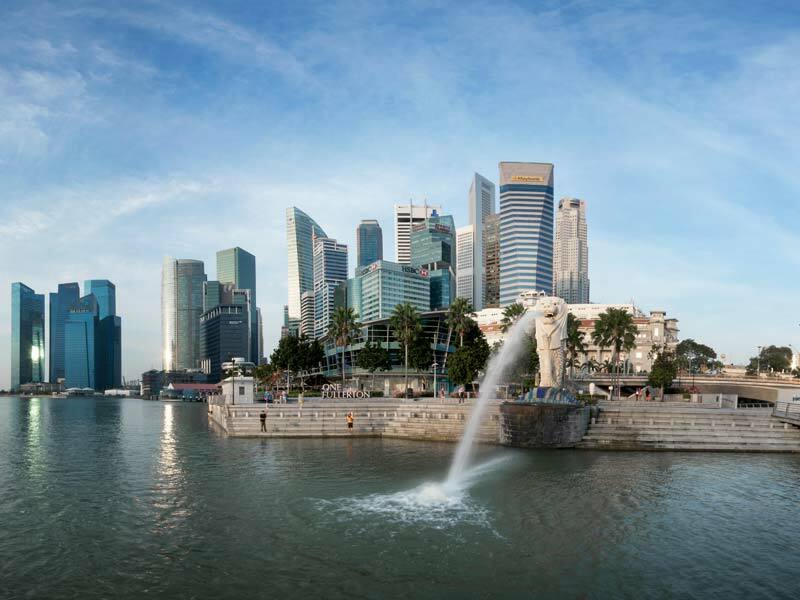 Free-flow of oxygenated water and soft drinks, plus a cup of illy coffee (espresso, latte, cappuccino, long black) or a pot of Gryphon Tea (boutique selection). 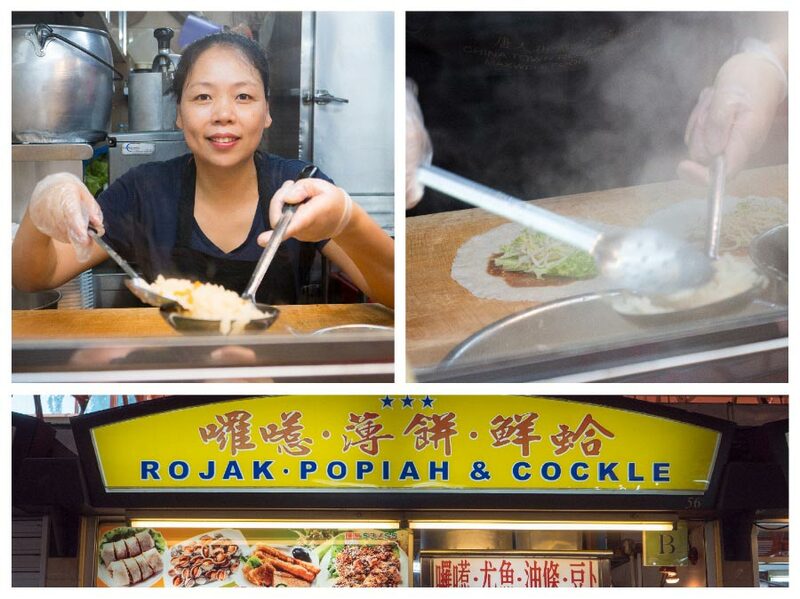 Despite a deceptively ordinary name, Rojak, Popiah & Cockle serves up extraordinary popiah. Owned and operated by the Lim family for more than 25 years, Mrs Lim whips up her delicious popiah with the fluditiy of a master, a dish that is “selected by Michelin’s team of inspectors”. Popiah - meaning ‘thin pancake’, are hand-rolled spring rolls that make for great comfort food. Kueh Pie Tee is a thin, crispy pastry shell filled with stewed turnip, egg and crabstick. Rice dumplings are tied intrincately with the Dragon Boat Festival (5th day of the 5th lunar month). The date is to commemorate Qu Yuan, a poet and minister of Chu, who is said to have commited suicide by jumping into the river. The local people raced out in their boats to save him. 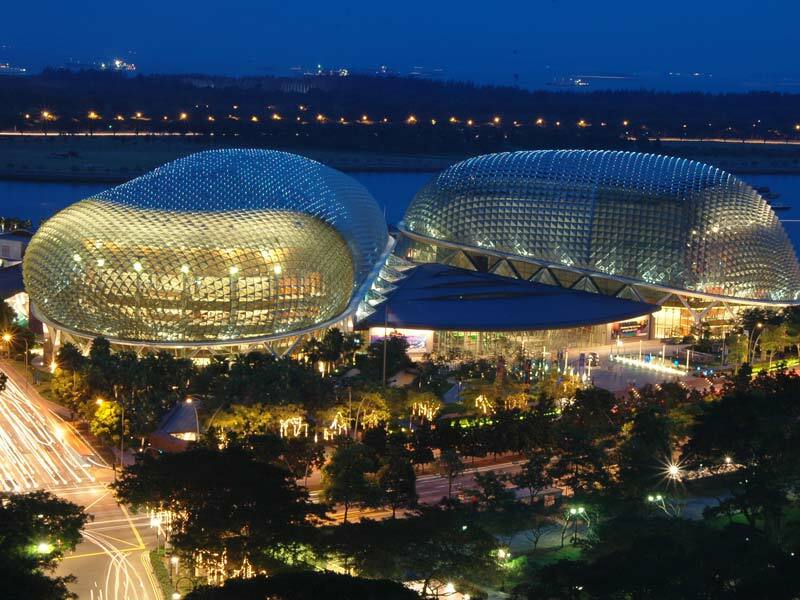 This is said to have been the origin of dragon boat races. When his body could not be found, they dropped balls of sticky rice into the river so that the fishes would eat the rice dumplings instead of Qu Yuan's body. Today, there are many variations of rice dumpling. 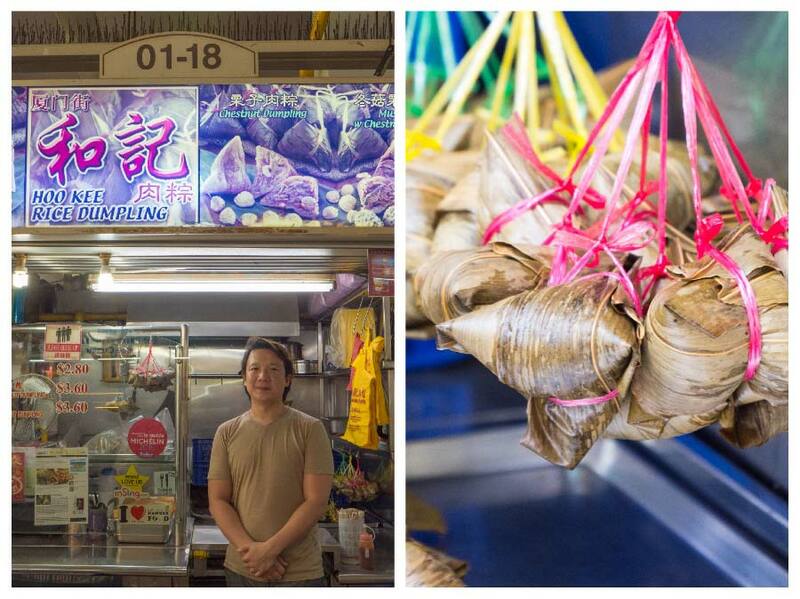 Hoo Kee’s hand made dumplings have been around for 68 years and recently made their way into Michelin Bib Gourmand Awards in 2016. Roll up your sleeve and try your hand at wrapping a popiah — a thin wheat flour crepe filled with sweet stewed turnip and carrots, fresh garden-grown lettuce, crunchy bean sprouts, hard boiled eggs and peanuts, with sweet sauce and a chilli paste to taste. Fill-up these little bite sized cup canapes with stewed turnip and top it with eggs, peanuts and chilli to taste. A generous scoop of fragrant glutinous rice is stuffed with marinated pork, mushroom and roasted chestnuts, then wrapped in bamboo leaves. Tied with a string to hold the dumpling in place, they are steamed to perfection. Tze Char, literally translated as cook and fry, is usually a stall in a hawker center or coffee shop that serves a modest selection of common Chinese dishes. This wallet-friendly cuisine is very popular among locals, especially for big groups. 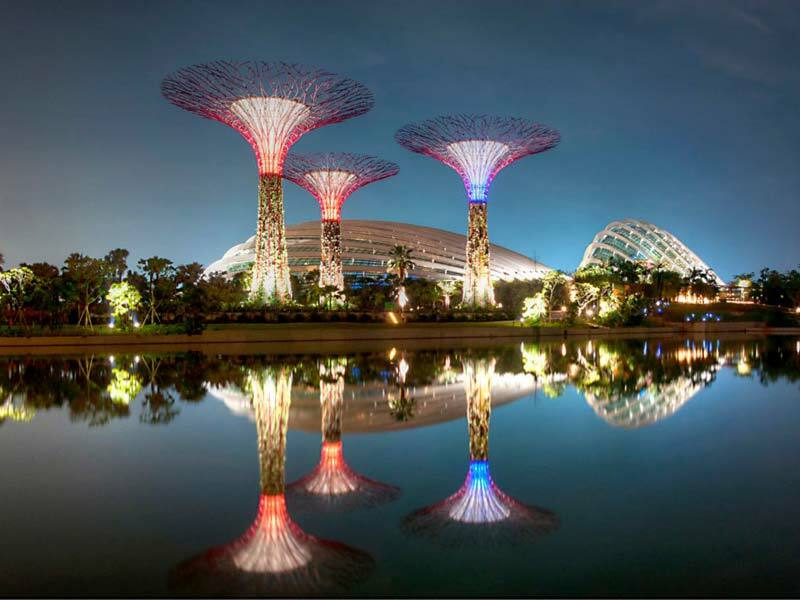 Kok Sen has been around since the 1980s, and they have remained a family business. Starting as a small stall in a coffeeshop selling dishes by the plate, its enterprising owner adapted to the improving standards of living and began selling bigger portions for families. 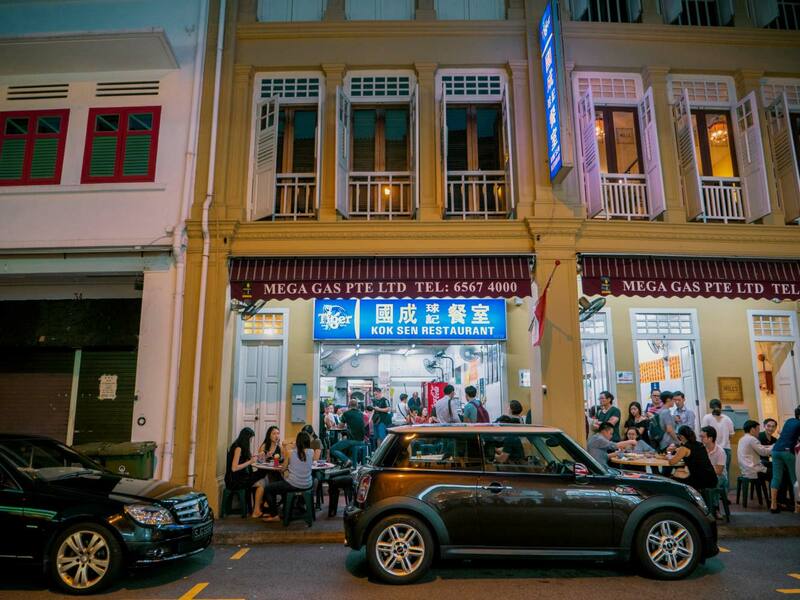 In 2000, Kok Sen moved to its current premises and became a full-fledged tze char stall. Chris Wong, the current owner, quit his job and took over from his parents. Today Kok Sen regularly churns out irresistible dishes and old-school tze char dishes beloved by many. 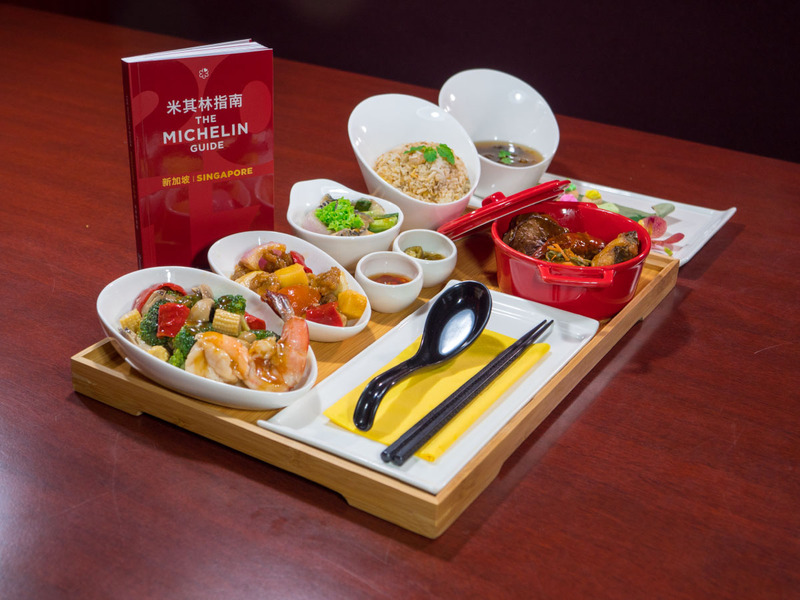 Being awarded a Michelin Bib Gourmand Award should come as to no surprise for fans of the restaurant. A trinity of minced squid, prawn and fish paste stuffed into assorted vegetables and braised in a secret house sauce. A Cantonese classic, crispy pork cubes are tossed in a delectable sweet and sour gravy, with pineapple and onion. Stir-fried crunchy farm fresh broccoli with sweet sea prawns in minced garlic sauce. Sliced fish stir-fried with ginger and onions, giving it a unique “wok-hei” kick. A beautiful combination of shrimp, succulent barbecued pork, and egg, stir-fried with rice into a smoky perfection. 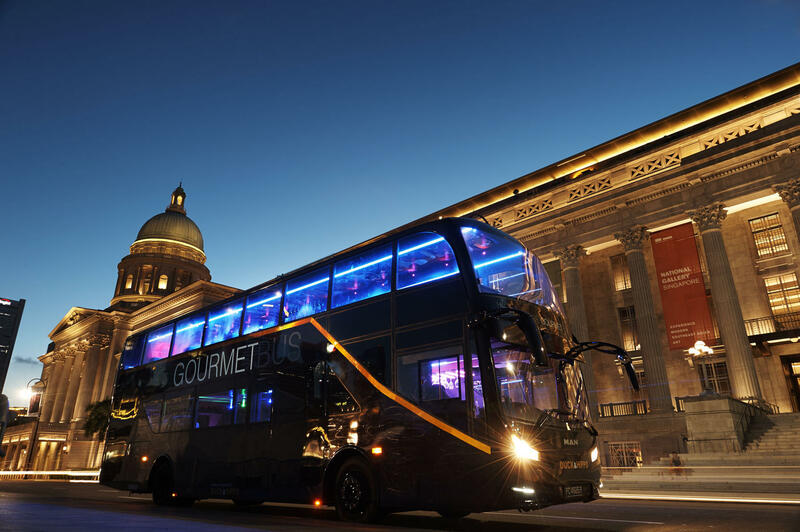 See iconic sights as your food is brought to you. 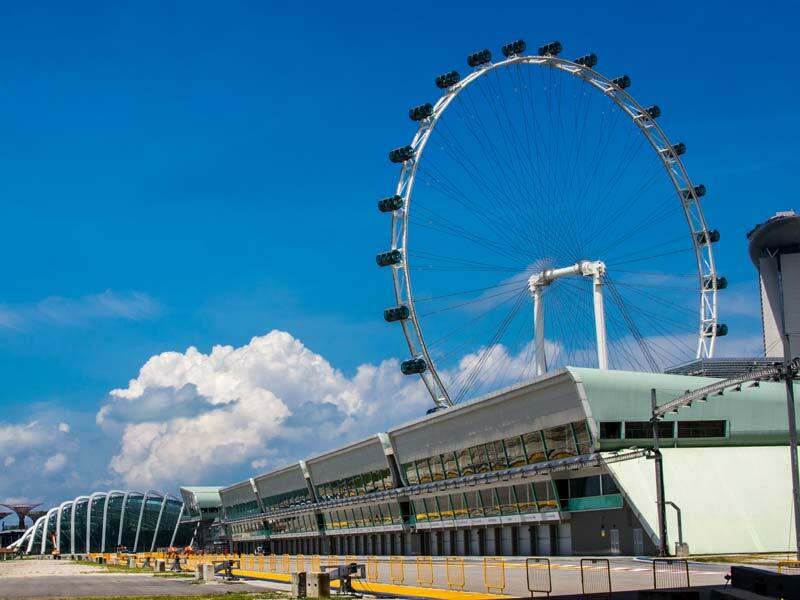 Enjoy your sumptuous meal while you travel past iconic sights– the Singapore Flyer, Merlion Park, Chinatown, among others – before hopping off at Gardens by the Bay for a short strolled.